From September 2011 to January 2012 I had the great fortune of having one of my posters exhibited alongside some of my personal idols as a part of Deep Surface at The Contemporary Art Museum in Raleigh. The exhibition is curated by Denise Gonzales and Susan Yelavich. The depth of their thoughts on and around ornament beautifully comes through in Ornament and Pattern, the essay accompanying the show. Ornament and pattern are form-based languages — the visual articulation of ideas. When successful, it offers a good read. And when the stories it tells are compelling, ornament and pattern go further. They show us something new. The essay neatly categorizes the selected works into six groups: Amplification, Everyday, Kit-of-Parts, Inheritances, Elaboration, and Fantasy. 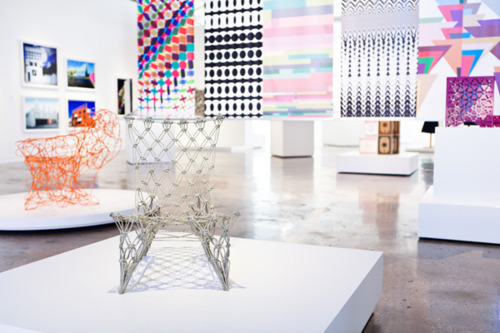 Works in each category include graphic design, industrial design, fashion, furnishings, architecture, and digital media. 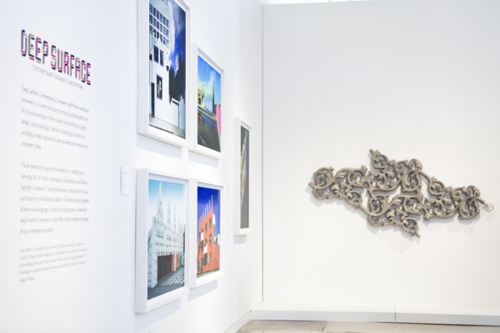 Among the designers and artists exhibited at CAM are Marian Bantjes, Jeffery Keedy,Vik Muniz, Cuban Council, 2×4,Andrew Blauvelt, Marcel Wanders, Rudy VanderLans, Zuzana Licko, Ebon Heath, and my friend Homa Delvaray with het intricate and complex posters from Tehran. 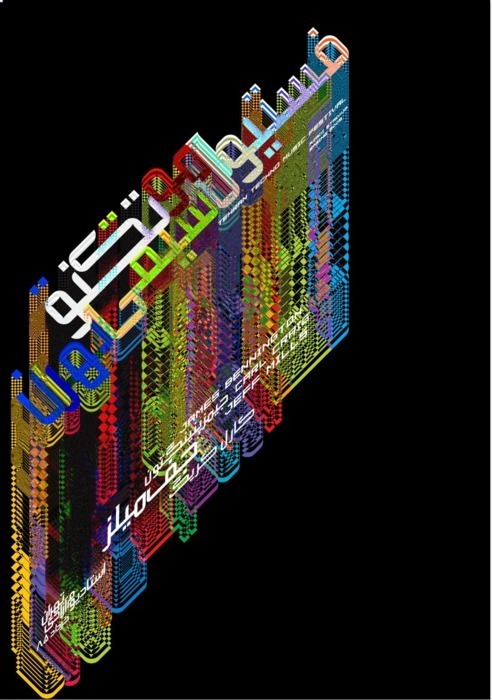 My work in the exhibition was the experimental poster Tehran Techno Festival in which I played with the geometric qualities of Square Kufic, aslo known as Banaei, to create a pattern resembling digital pixelation. Square Kufic is a derivative of the kufic script used for inscribing on the facade of brick buildings. In this process the lettes are broken down to simpel geometric shapes. Therefore the smallest element of a letter is a brick, interestingly resembling the digital equivalent, a pixel. NYE NYC Visit: Creative Mornings HQ, Studiomates and Tattly! Insert your email into the collaboration machine! One collaboration opportunity coming up.